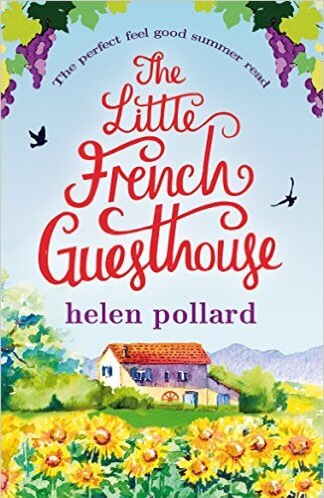 Emmy books a vacation for she and her boyfriend to a B&B called La Cour des Roses in the French countryside, hoping to regain a little passion and excitement in what has become a rather stale relationship. Unfortunately for her, he gets caught en flagrante with the B&B owners wife, Gloria, while her husband, Rupert, is having a heart attack downstairs. Nathan ends up leaving Emmy for Gloria, and Emmy, having the majority of her vacation left and also feeling guilty about Gloria leaving her older, ailing husband behind, stays to help him run La Cour des Roses. A story that starts out feeling like a romance ends up becoming a story about finding yourself, not settling, and going after your dreams. Emmy and Rupert, the owner of La Cour des Roses end up becoming great friends and Rupert becomes a life mentor of sorts. Emmy, away from her marketing job in the big city, enjoys the friendships she makes in the small French village. Can she go back to her old life? She and Nathan were not only a couple but also worked together, so there is the possible embarrassment of their broken relationship waiting for her back home also hanging over her head. Once Emmy got over wining about Nathan cheating on her, got on with life and discovered who she was without Nathan, I really enjoyed this book. Rupert had a sly wit, and brute charm that made him completely likable. In my mind I pictured a Gerard Depardieu type swilling wine and doling out advise to a young naive Anne Hathaway. There was a bit more to this book than the cover led me to believe I’d find inside of it and I was pleasantly pleased! I received a copy of this book from the publisher, Bookouture through NetGalley for my honest review. Thank you for reviewing – glad you enjoyed the book!